Michael Armstrong, has accepted the Athletic Director role at BMS! Michael is also a 2002 grad of BMS and he graduated from Hesston College with an associate’s degree in Youth Ministry. He earned a Bachelor of Science degree from Southwestern College in Youth Ministry and a Master’s degree in Human Services/Christian Ministries from Liberty University. 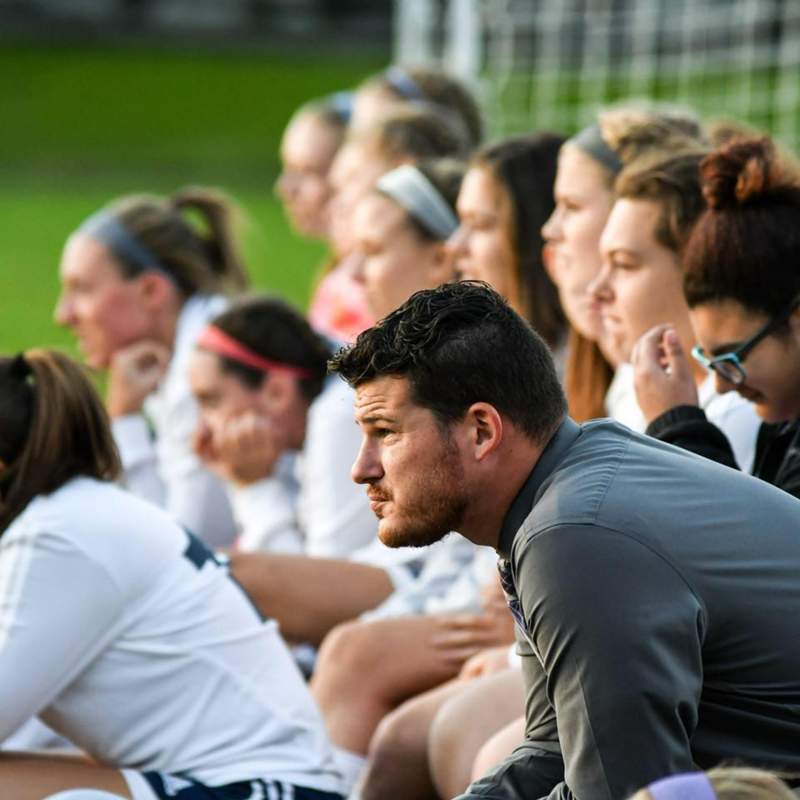 Michael is currently employed with Merakey as a Behavioral Specialist/Mobile Therapist and he is the Head Coach for the Huntingdon Area High School Varsity girls’ soccer team. Prior to these roles, Michael was the Head Coach for the Hesston College men’s soccer team and also held various other coaching positions. He holds an LMA Coaching License-Culture of Excellence Key Performance Indicators, a USSF F license, and an NFHS national certification. Michael and his wife, Becky, reside in Belleville with their four children and attend Allensville Mennonite Church. The Belleville Mennonite School athletic program is an extension of the family, school, and church. It is desired that the athletic program will bring honor and glory to God in the realm of interscholastic competition, both as spectators and players. We trust that the discipline developed in doing this will carry over into other areas of life. "As a student athlete at BMS I was challenged both on and off the field to grow in faith and character. Now as coach, it is my desire that our student athletes continue to receive coaching that applies to the game of soccer, but also coaching in character and faith development for the challenges our young men will face as they walk this road we call life."